At Geodesic Buildings we specialise in helping clients put on that special event for any occasion with a spectacular geodesic dome. A dome at your trade show or event will provide a unique feature that will draw customers to your area and highlight your exhibition. Logos or banners can be printed on to the covers or fitted to the frames for marketing events, advertising or sponsorship purposes. The domes can be used as an alternative to traditional billboard advertising. Lighting, staging, sound and accessories as well as heating and cooling can be incorporated to create the atmosphere you desire. We are also able to include the amazing geo dome chilling effect. Once activated the interior is 15% cooler than outside. Utilising natural thermal convection the hot air goes up and out of a chimney at the top and cool air is drawn in at the bottom, with a chimney hat to keep out the rain. 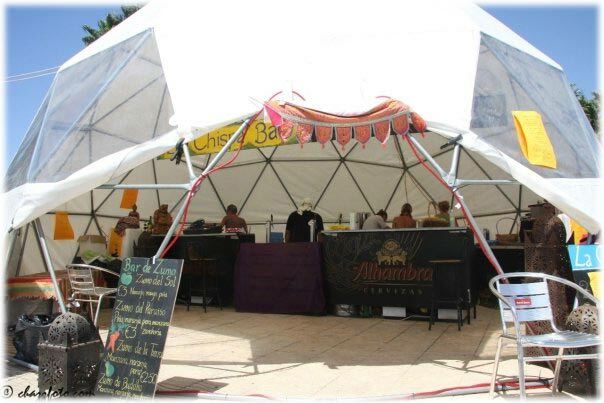 If you are renting a dome from us for a promotional event, concert, a festival, a wedding or party, we can also provide you with a beautiful cover & lighting equipment. You may also need a stage for the presentation, band or DJ's. We can deliver and install your dome project anywhere in Europe should you need help with that. These two domes were hired recently to a customer putting on a 3 day music festival. 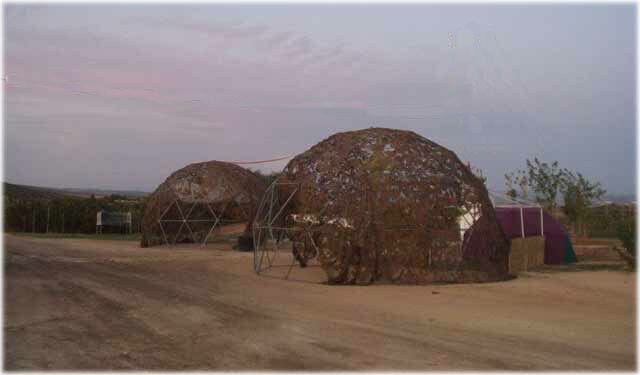 The domes were supplied with camouflage covers, stages, lighting equipment and P.A (Sound) equipment. We can offer several types of stages that blend seamlessly with one of our domes or we can of course make one for you based on your specifications. We also rent P.A equipment should you need it, we have several P.A systems from small 350 watt stereo systems with twin deck CD players right up to 7 Kilowatt systems with mixing desks, twin cd players for mixing a band. we can even supply you with the technicians and sound engineers should you require those. Please contact us for up to date prices and availability for P.A Equipment, lighting and decoration. 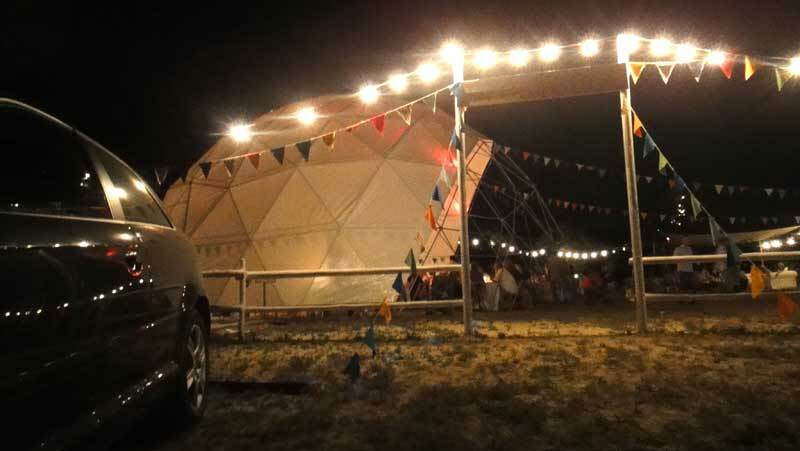 A smaller 6m geodesic dome as an instant bar!